China backs India and Pakistan becoming members of the Shanghai Cooperation Organization (SCO) as the group has agreed to expand its membership, a Foreign Ministry spokesman said on Thursday. China and India will cooperate to lift India's train speed and jointly explore the ways to upgrade railway stations and develop high-speed railways in the country. China and India highlighted their determination to boost ties in a whirlwind visit on Wednesday with not only key agreements but also relaxed protocol procedures. 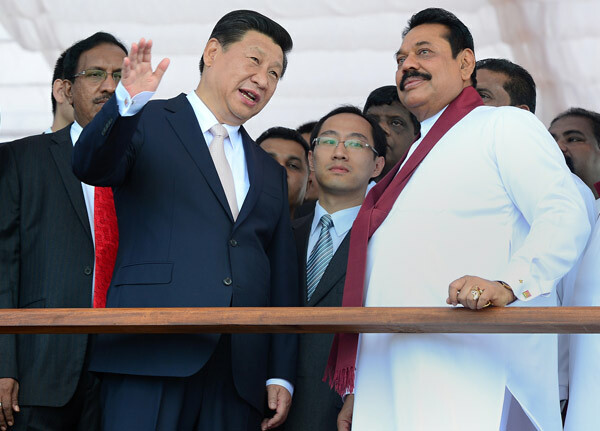 President Xi Jinping and President Mahinda Rajapaksa of Sri Lanka visited and inaugurated the landmark Colombo Port City project on Wednesday. China and Sri Lanka have begun negotiating a deal that would see favorable policies for trade between the countries, the Ministry of Commerce (MOC) told Xinhua late on Wednesday. 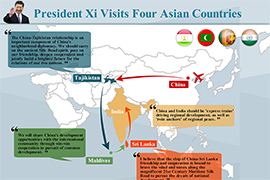 President Xi Jinping arrived in the western Indian state of Gujarat on Wednesday afternoon on the start of a three-day visit during which a number of key agreements will be signed. Chinese President Xi Jinping on Wednesday urged China and India to join hands to build an Asian century of prosperity and renewal. The upcoming visit by Chinese President Xi Jinping to India will be a milestone in the development of bilateral ties, Chinese ambassador to India Le Yucheng has said here. 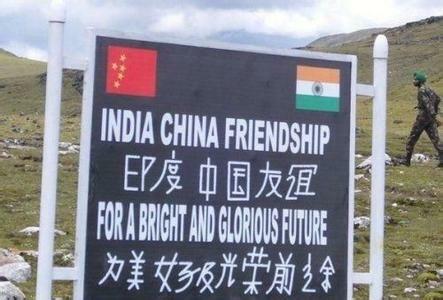 It serves the interests of both sides, the whole Asia and the world at large that China and India can put aside their differences and make sure such thorny issues do not damage their overall friendly ties. 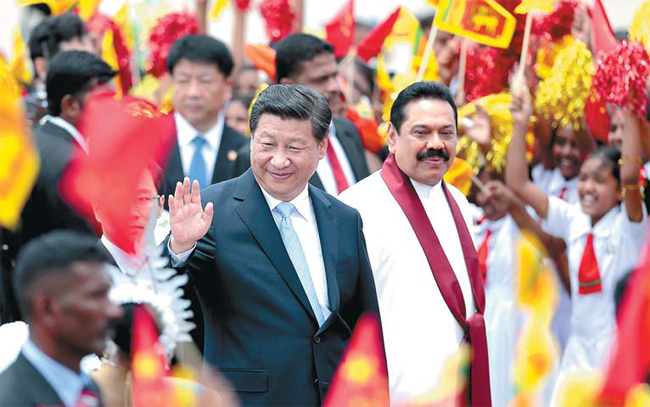 China and Sri Lanka announced the start of negotiations on a free trade agreement, a deal observers said will inspire greater engagement from other South Asia nations in Beijing's proposed Maritime Silk Road project.